Tuesday, 02 April 2019, Colombo: After entrenching its credentials in the modern trade market, Softlogic GLOMARK, Sri Lanka’s first inspirational global market, launches GLOMARK Essentials, the mini format of Softlogic GLOMARK. This astute strategy to have the big format Softlogic GLOMARK along with the new mini format GLOMARK Essentials is part of Softlogic’s plans for rapid expansion and growth of the GLOMARK brand. 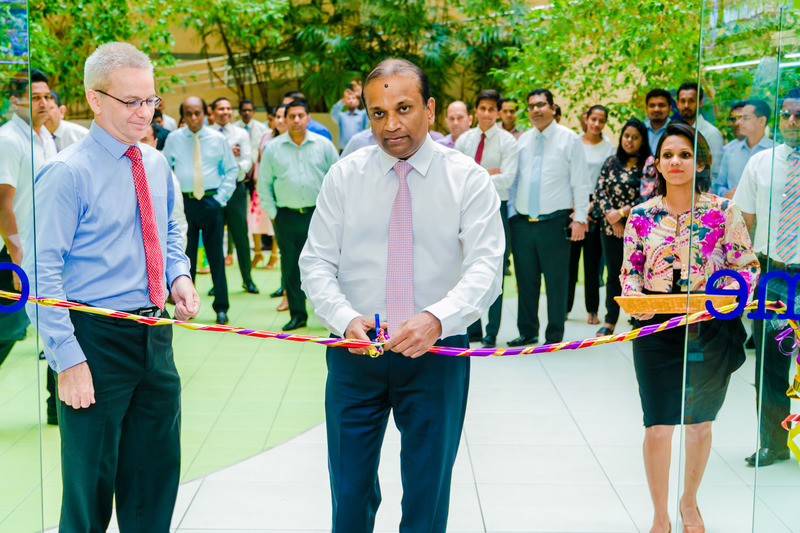 GLOMARK Essentials have been inaugurated at Asiri Central Hospital, Colombo, on the third floor in the Food Court area; the second mini format store was opened at Asiri Hospital, Kandy, on the third floor, to coincide with the soft opening of the hospital. GLOMARK was launched by Softlogic Supermarkets Pvt Ltd, a subsidiary of Softlogic Retail (Pvt) Ltd, under the ultimate parent group, Softlogic Holdings PLC. As a consumer-focused business, it has over 100 international brands marketed through one of the country’s strongest distribution channels. Commenting on the new launch, Ashok Pathirage – Chairman, Softlogic Holdings PLC, said,“The launch of GLOMARK Essentials introduces a new paradigm for shoppers who can now access daily essentials within the environs of the Asiri Central Hospitals in Colombo and Asiri Hospital Kandy, thereby also optimizing group synergies. By innovating the format, we aim to cater to diverse needs of customers and to be relevant and easily accessible at every touchpoint. GLOMARK has raised the bar in Sri Lanka’s modern trade industry, so that customers genuinely enjoy their shopping experience. Our loyal customer base can expect many more exciting initiatives from the GLOMARK brand. Our next endeavor is to open GLOMARK Essentials in June this year, at Orion City, a hub for knowledge-based local and overseas companies and Sri Lanka’s leading business park, which will be followed up by the multiple large format outlets, GLOMARK, in Kottawa, Mount Lavinia and many other consumer dense cities”. GLOMARK harnesses the widest selection of items and the best of technology for a superlative consumer experience. The modern trade venture by Softlogic stocks the widest selection, sourced from around the world, delivering freshness and high quality for a one-of-a-kind experience. Customers can also access our retail services via www.glomark.lk with free delivery within 4 hours across Colombo and key suburbs. Softlogic Holdings PLC has already established its pioneering leadership as a retail giant, leading the consumer electronics, furniture, fashion and lifestyle segments while innovating in the restaurant and food business, through partnering with global brands. Softlogic Holdings PLC is one of Sri Lanka’s largest diversified conglomerates with leading market positions in growing economic sectors in retail, healthcare, financial services, leisure and automobiles. Softlogic holds Authorized Distributorships for key global brands and today, employs over 10,000 people in its offices located in Sri Lanka and Australia.